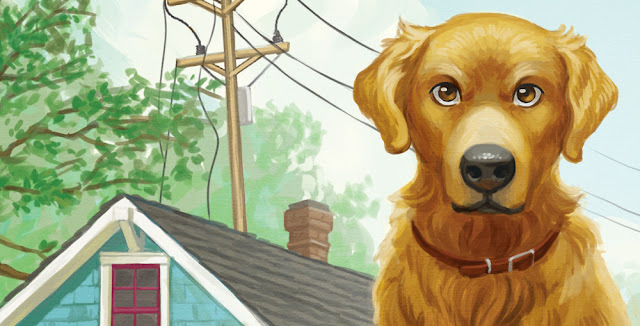 Ranger, everyone's favorite time-traveling golden retriever, has visited the Oregon Trail, the San Francisco Earthquake, even Ancient Rome. Now he's traveling back to the ancient world of...2005?? 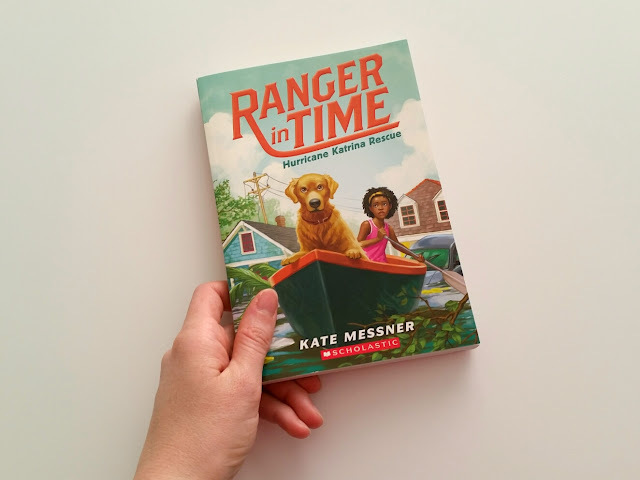 At first I was surprised that the author of this series, Kate Messner, had chosen such a recent event for Ranger to visit. But then I realized that most readers of Ranger in Time hadn't even been born when Hurricane Katrina hit. To them, this is nearly ancient history. 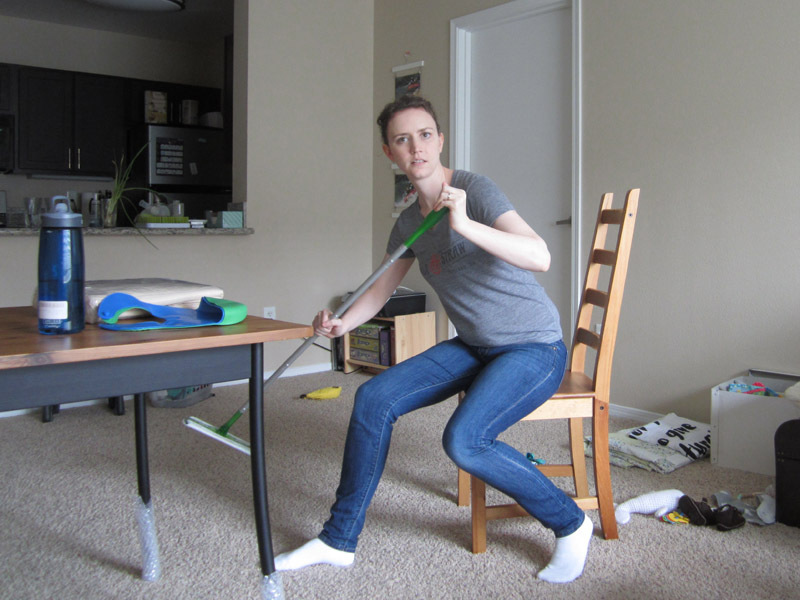 Wow, that apartment is a mess. Is that a banana on the floor behind me? Here are the roughs I sent over. 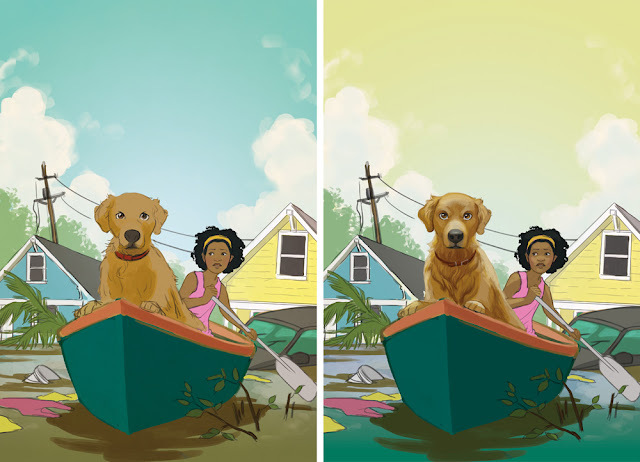 The team at Scholastic liked the first rough best, and asked me to put Ranger's paws on the boat and to add more debris into the water. Next I sent over two options for the color scheme. We went with the blue sky from the first one and the blue-green water from the second. This cover was on a very tight schedule. Ranger books are released twice a year, and I had recently taken a few months of maternity leave. Scholastic had been extremely accommodating with my leave, but once I was back there was some catching up to do. 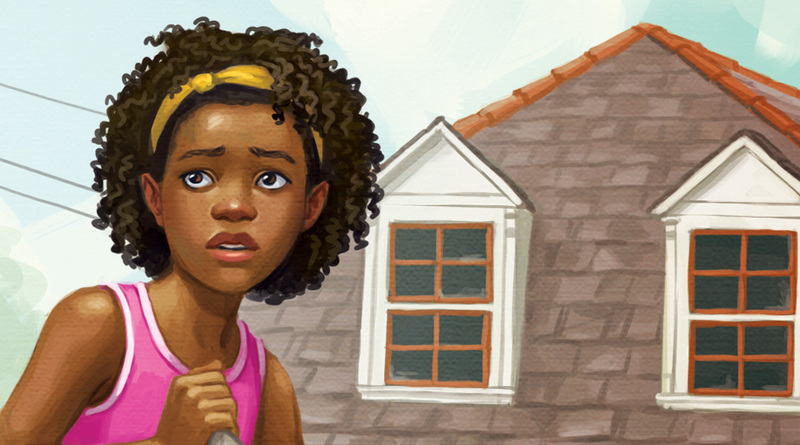 Long story short, the art director asked me if I could take this illustration from color rough to final overnight. I was nervous about this. Sometimes a drawing comes together smoothly and easily; other times it just fights me. It starts veering out of control and slipping further and further away from the drawing I saw in my head. In my experience, the best way to snap out of this is to take a break from a drawing and come back to it the next day with a fresh mind. But in this case, I wasn't going to have that backup. So I said to the art director "alright, I'll have this for you tomorrow!" but secretly I was thinking I sure hope this works out. I stayed up late painting on Tuesday night, got up early Wednesday morning to finish it, and managed to send it in at 12:30 pm eastern time. Luckily, this was one of those times when the drawing just came together really naturally and without much struggle. I am eternally grateful to whichever Greek muse chose to give me her blessing that evening/morning. Scholastic's art director was thrilled (and probably a little surprised) that I sent it in time for her big cover meeting. 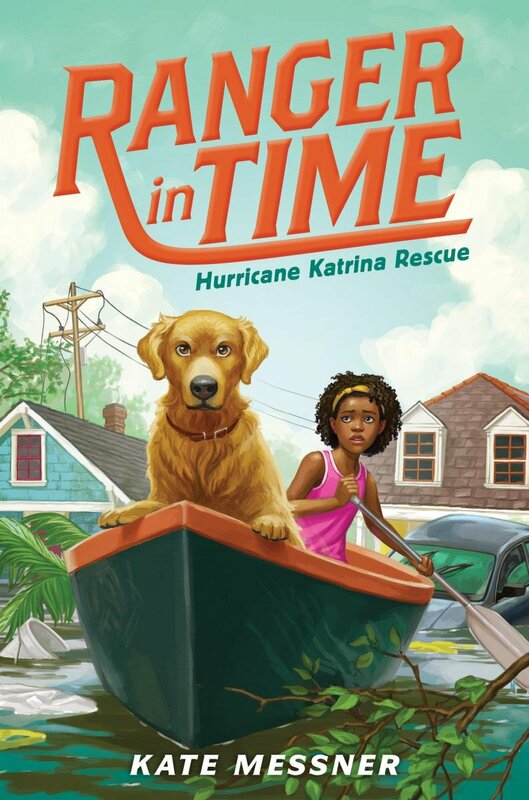 Ranger in Time: Hurricane Katrina Rescue comes out June 26th! 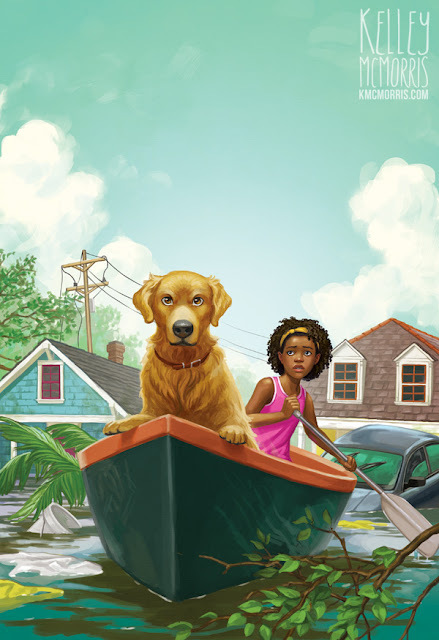 Even if you're not a young'un who was born before Katrina, I'd still recommend giving this book a read. Even though I was in college at the time of Katrina, I have to admit that I wasn't really paying attention to the news. So I found this book to be not only exciting but also really informative. 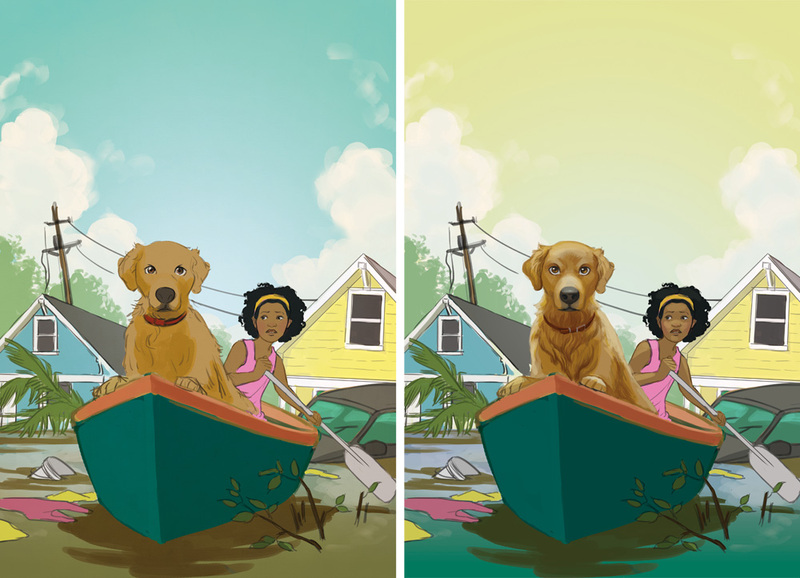 Hurricane Katrina Rescue also has 15 interior illustrations done by me, which I'll talk about in my next blog post! SO glad to see that you're back, Kelley! Your artwork is amazing as always, I can't believe you managed to pull that off overnight! It looks as solid as any other illustration of yours. Kudos!